Avista Mindfulness offers a number of courses and workshops throughout the year to the general public in Melbourne, and in the Geelong/Bellarine/Surf Coast region. Half-day workshop: Introduction to Mindfulness – a practical introduction to mindfulness meditation including breath meditation, mindful movement and walking practice. Half-day workshop: Mindfulness of Emotions and Thoughts – an experiential session giving you skills to better handle strong emotions and difficult thoughts so you can be less tossed around by the roller coaster ride of life. "Retrain Pain" Chronic Pain Relief Course - a 10 week course run in partnership with osteopath, Dr Grant Burrows from Procare Geelong designed to help chronic pain sufferers find lasting relief from their pain through mindfulness and movement practices. 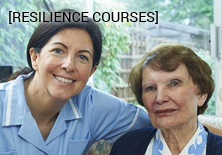 Click here to find out more or to book in (next course starts on Monday 30th January 2017). 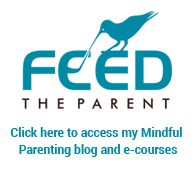 Mindfulness for Parents Workshop – a special workshop designed for parents of children of any age, designed to help you be happier, more present and more effective as a parent. Six week Mindfulness Meditation course – based on the MBSR program, this course gives you a strong grounding in mindfulness and meditation practices. It includes six evening sessions, a silent Day of Meditation and daily home practice with guided CDs. Go to the Events Registration page to book in for our current events.